A small Georgia town erupts in panic when a young college professor is found brutally mutilated in the local diner. But it's only when town pediatrician and coroner Sara Linton does the autopsy that the full extent of the killer's twisted work becomes clear. 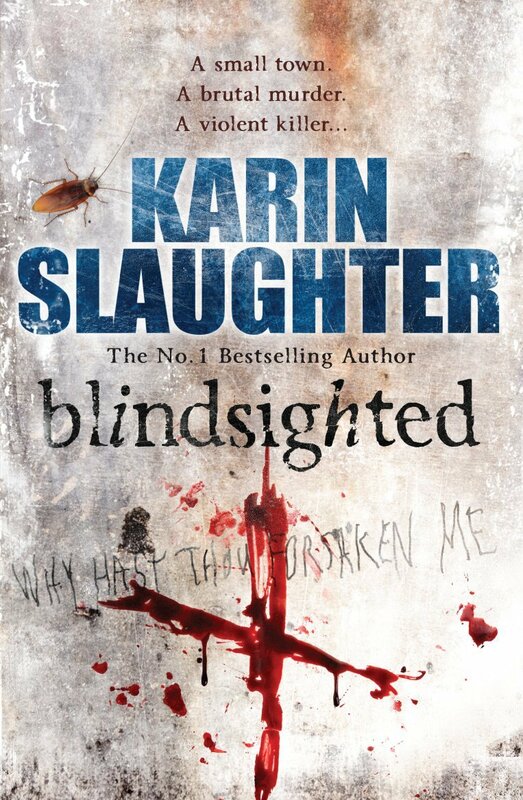 Sara's ex-husband, police chief Jeffrey Tolliver, leads the investigation -- a trail of terror that grows increasingly macabre when another local woman is found crucified a few days later. But he's got more than a sadistic serial killer on his hands, for the county's sole female detective, Lena Adams -- the first victim's sister -- want to serve her own justice. 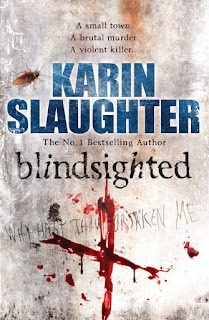 Review: This is the first book in a series by Karin Slaughter, which takes place in a small town in Georgia. The main characters are Dr. Sara Linton, the pediatrician and coroner, Jeffrey Tolliver, her ex-husband (who she is not over) and chief of police, and Lena Adams, the county's sole female detective who also wins the award for the most grating character ever created. I enjoyed the murder mystery and the interactions with Sara and Jeffrey. Sara had a secret past which was revealed toward the end of the book and handled very well. I thought both Jeffrey's reaction (at hearing the news) and Sara's frustration at how he reacted were both spot on. Lena was incredibly annoying. Even though her twin sister was the first victim and I know I should have felt some sympathy toward her, she was intolerable. I wish the author had added a few red herrings in regards to the 'who done it?' because I felt like there was only one person in the town who could have committed the murders (and did). Overall-I enjoyed this and will definitely be reading the next one. Can't wait to see what Jeffrey and Sara find themselves investigating next time.